Work has this week started on a new Hospital Dentistry Department for the Northern Trust. The new build was approved at the Trust Board meeting in April 2014 and Mascott Construction Ltd. has been appointed as the contractor. The new £1.2million Department will include 4 orthodontic chairs and 2 special care dentistry rooms and will be located at the front of Antrim Area Hospital site. It will bring together the Orthodontics Department and the Special Care Dentistry and Oral/Maxillofacial services for the first time. Having both departments co-located will improve the service for patients who have highly complex oral needs and require specialist skills. Existing services will relocate from Braid Valley Hospital in Ballymena and Antrim Hospital Outpatients Department to the new Department. It is anticipated that the new Hospital Dentistry Department will be completed by January 2015 and will open by March 2015. 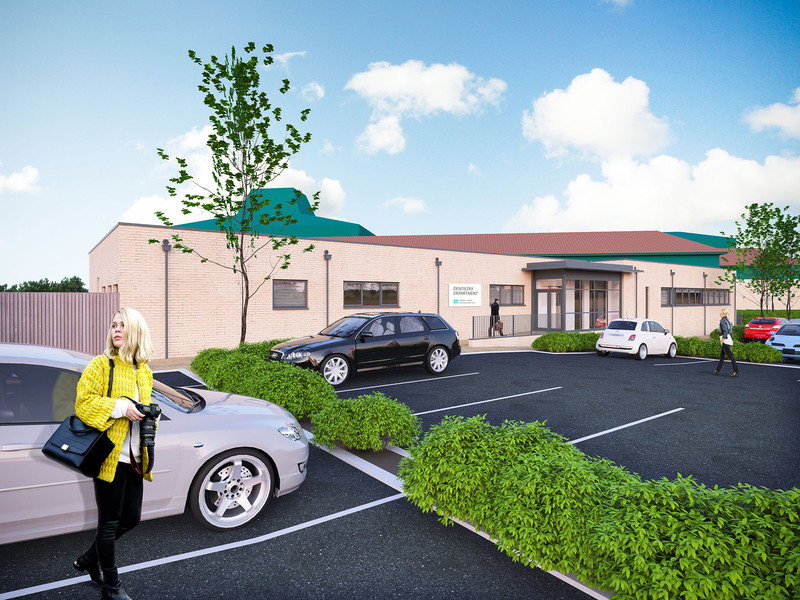 Rebecca Getty, Assistant Director of Acute Services with the Northern Trust, said: “This much needed facility will replace out-dated accommodation and dramatically improve the provision of dental care services to people living in the Northern Trust area”. The Trust would like to take this opportunity to apologise for any disruption patients, visitors and staff may experience while on the Antrim Area Hospital site.